Everyday we take on multiple roles. We work, dream, and love. We use different email addresses, credit cards, and social media accounts for different parts of our lives. Why not have different phone numbers as well? Manage and embrace each part of your life by having a different phone number for each one. With Flyp, you can connect to what matters most. Instantly receive a dedicated phone number for each part of your life. 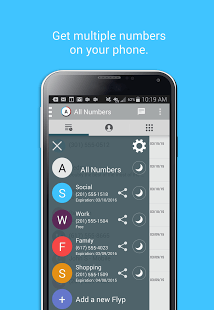 Have multiple phone numbers for one Android or iPhone. 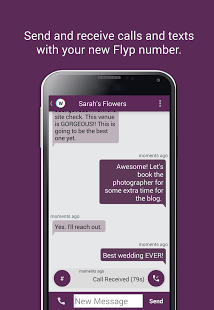 Flyp numbers are real phone numbers, allowing you to call and text just like your current number. Create custom voicemail greetings for each Flyp number. Easily share your new number and import all of your current contacts. With Flyp, everything is conveniently located in one place. Forget constantly tapping and swiping between different apps for calling and texting. 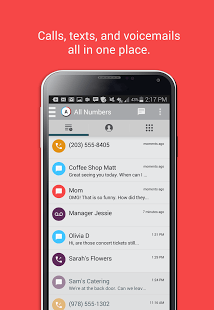 Flyp organizes all calls, texts, and voicemails into one feed. It’s easy to see which conversations belong to which Flyp number. Flyp is now available in the App Store and Google Play Store. Let me know what you think of this innovative new app!